Lorco offers several tank cleaning options to suit your needs. Our modern fleet of vacuum trucks can provide cleaning on all types and sizes of tanks. Whether your tanks are above ground, underground, commercial or residential, Lorco can meet your needs. 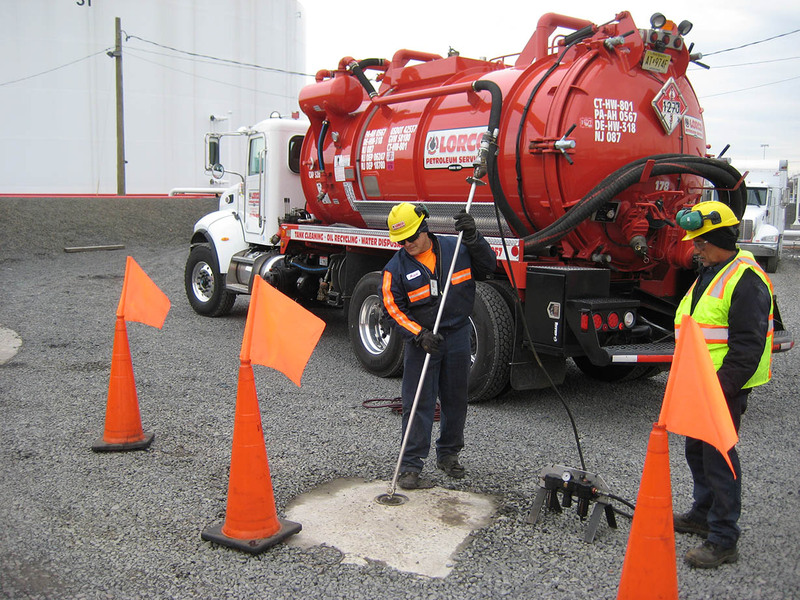 Our trained personnel will remove various types of oil, sludge, oily water and gasoline from your tanks and safely transport the materials for proper disposal. Lorco can provide non entry tank washing services to clean both tanks that are in service, as well as tanks that are targeted for removal. This type of service is most effective when cleaning gasoline or diesel tanks. If you are experiencing any filter clogging at your dispenser or are planning a tank removal, please contact us for additional information. 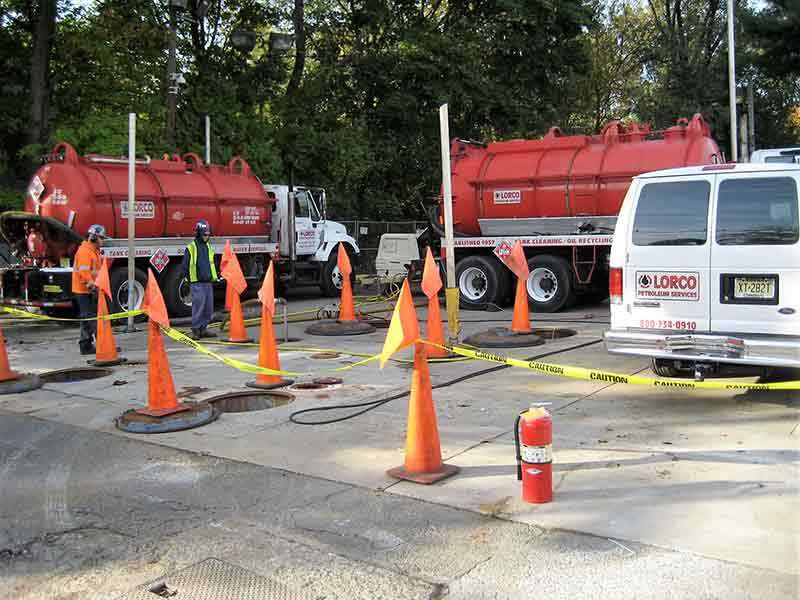 Lorco has a fully trained staff of confined space entry personnel for use on projects where tank entry is necessary. Click here to ask a question, receive pricing information or schedule service for tank cleaning. Lorco has a modern fleet of vacuum tank trucks and trailers. We can provide transportation services for any petroleum based waste stream that you may generate. Lorco specializes in the disposal of water and other materials generated from site remediation, as well as small and large scale dewatering projects.